On this day, we finally get a look at the new SUPER☆GiRLS in their new configuration. In case you hadn’t heard, all of the 1st Chapter members are now gone. Only Watanabe Koume remains from the 2nd Chapter. 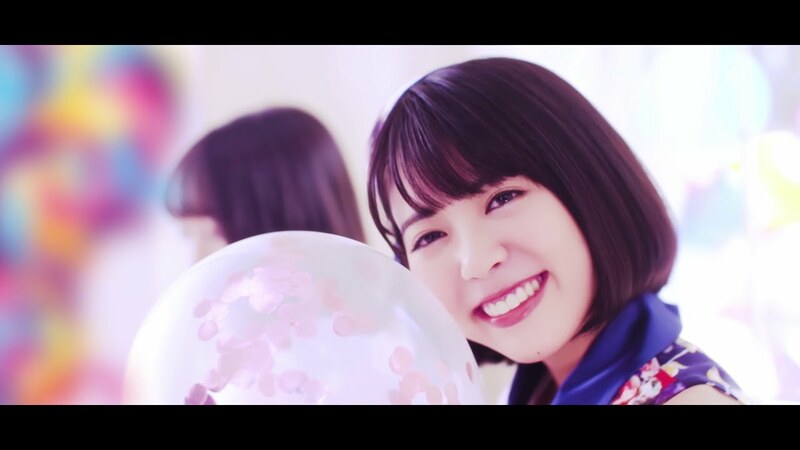 The remaining 3rd Chapter members (Ishibashi Hotaru, Abe Yumeri, and Nagao Shiori) are bolstered by the incoming 4th Chapter members Kanazawa Yuuki (formerly of GEM), Ishimaru Chika, Sakabayashi Kana, Inoue Mayuko, Kadobayashi Yuu, Higuchi Nazuna, and Matsumoto Aika. With new member Inoue Mayuko in center for much of the performance shots, SUPER☆GiRLS go back to the bubbly pop that have served them so well for the past few years. Horns sound like a fanfare and melodies are light for the charming “CongraCHUlation!!!!”. As you might expect, the new girls with their “new-hire glow” fare best in solo shots and small group skits. If SUPER☆GiRLS keep things cute and slowly ratchet up the skill level, I think we might have a great future for these new girls. Let’s hope SUPER☆GiRLS can continue to thrive in this post-idol bubble world. “CongraCHUlation!!! !”, the 21st single from SUPER☆GiRLS goes on sale February 27, 2019. SUPER☆GiRLS is a J-pop idol group, and the flagship unit for iDOL Street. The group was announced on June 12, 2010; they made their major debut in December of that year. The SUPER☆GiRLS lineup currently includes 2nd Chapter member Watanabe Koume (渡邉幸愛); 3rd Chapter members Ishibashi Hotaru (石橋蛍), Abe Yumeri (阿部夢梨), and Nagao Shiori (長尾しおり); and 4th Chapter members Kanazawa Yuuki (formerly of GEM) (金澤有希), Ishimaru Chika (石丸千賀), Sakabayashi Kana (坂林佳奈), Inoue Mayuko (井上真由子), Kadobayashi Yuu (門林有羽), Higuchi Nazuna (樋口なづな), and Matsumoto Aika (松本愛花).